Since we have so many new baby stickers this week, I thought I would share with you a baby scrapbooking idea I created using one of the sketches from my collection of 500 Scrapbooking Sketches. I love using sketches to create my layouts. Whether I’m creating a baby scrapbooking idea or something completely different, sketches always help me design my page and focus in on what it is I really want to create. It takes out all the uncertainty and since I’m not stressed about how my page will look, I have so much more fun. This cute baby scrapbooking idea was created using sketch #3. Materials Used: Pixie Press Floral paper, Making Memories Pink Plaid paper, light yellow cardstock, pink cardstock, brown cardstock, brown ink, a brown pen Beary Patch Baby Girl stickers and Sandylion Glitter Tinkerbell Rub-Ons (for the title). 1. Use the Pixie Press Floral as your background. Ink the edges with brown ink and set aside to dry. Of course, if you wish to create a baby boy scrapbooking idea instead of a baby girl idea, you will want to change the paper from a pink floral to something else. Perhaps something blue, green or orange. 2. Cut a piece of Making Memories Pink Plaid paper measuring 33cm by 31.5cm. Tear along the bottom edge for extra interest. 3. Using a brown pen, draw a dashed border around the top, left and right edges (not the bottom edge) of your pink plaid paper from Step #2. Also, ink the edges with brown ink. This effect is perfect for a baby scrapbooking idea as it softens the page and creates a heart-warming feeling. 4. When your pink plaid paper is dry, make a small tear along the top edge approximately 5cm from the left corner. Fold down each side to create triangles (it looks a little like a collar), as shown above. Lightly ink the triangles for a more aged look. 5. Make a second small tear on the right edge of your pink plaid paper approximately 5.5cm from the bottom corner. As in step #4, fold down each side to create triangles, as shown above. Lightly ink the triangles for a more aged look. 6. Glue your pink plaid paper to your page approximately 4cm from the top edge and 3.8cm from the left edge. 7. Cut a piece of brown cardstock measuring approximately 18.5cm by 13cm. Tear along all the edges for a softer look for your baby scrapbooking idea. 8. 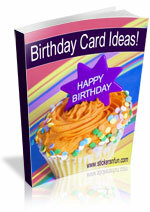 Mat a horizontal 4×6 photo with light yellow cardstock and again with pink cardstock. Glue in the centre of your brown cardstock from the previous step. 9. Position an “Am I Cute Or What?” rub-on from Sandylion Glitter Tinkerbell Rub-Ons above your photo, as shown above. I know strictly speaking, these rub-ons were not intended for baby scrapbooking ideas, but I thought it suited it perfectly! 10. Finally, decorate your page with baby stickers of your choice. Place them around your photo on your pink plaid paper, as shown above. For a balanced effect, place your largest sticker in the bottom left corner of your pink plaid paper and the second biggest in the top right corner. Also note, if you wish, there is space for journaling below your photo. This baby scrapbooking idea is simple and quick to create thanks to the sketch that I started with. I always love quick layouts. Any page that is fast but still looks fantastic is a real blessing as it leaves you time to catch up on all your other to-be-scrapped photos (and, if you’re like me, there are plenty of those!). I started using sketches because I would agonise over my pages trying to get them just right. I wasted so much time and worry that I hardly got any scrapping done. Sketches really did change all of that for me and I have enjoyed scrapping much more ever since. If you feel sketches can help you too, Click Here to Order 500 Scrapbooking Sketches Now. This entry was posted on Monday, April 5th, 2010 at 7:07 am	and is filed under Baby, Scrapbooking Sketches, Scrapbooking Stickers. You can follow any responses to this entry through the RSS 2.0 feed. You can leave a response, or trackback from your own site. I LOVE THIS FOR MY BABY COSINE.